Why the 3UU wallet is free - what's the catch? 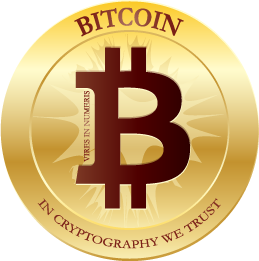 The online wallet service is free of charge as we want to establish Bitcoin as a new, easy and safe way of payment. How do you make a profit then? You wouldn't offer a free service for the sake of it, would you? Of course not. The 3UU online wallet ist part of a software solution we developed for owners of online shops. The online shops pay for our service and the 3UU online wallet is part of this service. What if the shops stop paying you? In this case we would need to shut down our service. It is not very likely to happen though, as we have long-term contracts with those online shops and most of them are in business since a long time. Our oldest client established his shop in 1998. We believe in long-term success of our business and the decision to launch Bitcoins has been preceded by long and careful planning. Why do more and more online shops not accept credit cards anymore? Credit cards were not invented to be used in the internet and the owners of shops face issues when they offer credit cards as a way of payment. One issue is the high amount of commission the shop owner has to pay to the credit card company for offering this way of payment. Another issue is the fact, that the shop owner usually takes the risk of fraud and missuse of credit cards himself. He must therefore increase prices on his products to cover costs in event of a claim. If the credit card company takes the risk of fraud they will charge higher commissions to the shop owner, again he will have to increase prices to cover the costs. At the end of the day it is always the customer who has to pay an extra in order to use credit cards for online shopping. Time for a new, easy and safe way to pay - Bitcoin! Can I earn here something myself? YES! Once you've created an account, appear under the menu item "get BTC" various links in your account. If you like this to your friends giving out and buy them something with Bitcoin in each store, you get a proportion of sales to your 3UU online wallet credited. How much is available in the column next to the link. And of course, the payment is in Bitcoin which you can immediately spend any. So no boring voucher system. NO! Such advertising partnerships (affiliate programs) are quite normal in the business world. Since time immemorial, it is practice, the commercial agent a portion of its revenue received as commission. Nothing else that's here too. Why do I need this token when sending Bitcoins? The login to your wallet is secured by a https-connection. It is however possible that somebody hacks your computer and steals your login details (f.i. via a virus). The internet thief with your login details could easily log in to your account and transfer all your Bitcoins to his wallet. Bitcoins are pretty much like cash and it would therefore be impossible to track who received your Bitcoins later on. To prevent any kind of missuse, a so called token is created and sent to your email address. The token will only be valid short-term.